Hot Damn! Girls Trip Has a Red Band Trailer! A few days ago, we posted a trailer for a movie called Girls Trip – the tale of four women going on a vacation trip together and getting into all kinds of mischief. It was an okay trailer – there were a few laughs – but, truth to tell, it felt a little weak. Turns out, that’s because it was a heavily cut/censored trailer for an R-rated comedy. The red band trailer was released today and it is like the sun came out. Bear in mind that the following trailer is very NSFW. Girls Trip will be in theaters on July 17th. Gotham Gets Stranger (You See What I Did There, Right?)! As Gotham (FOX, Mondays, 8/7C) steams toward the end of its second season, it has not fallen into bad comics goofiness like it did last year. Instead, it’s gotten darker and more twisted – we’ve even caught a glimpse of Killer Croc (or a reasonable facsimile thereof) in the dying moments of last week’s ep (just before Firefly’s attempted fricassee of Selina Kyle. Wrath of the Villains: A Legion of Horribles picks up right where it left off and carries on to a staggering cliffhanger that will lead into next week’s season finale with style (if not grace). Magic Mike XXL: Magic Mike Med. More Like! 2012’s Magic Mike was a left field smash loosely based on Channing Tatum’s experiences as a ‘male entertainer.’ It was smart, witty and filled with intriguing characters – not to mention some amazing dancing. Magic Mike XXL has all of the above except for the smart and the witty. The guys are still kinda fun, but the script really seems rushed and thin. Of course, most of the target demo will only be there for the dancing and stripping, but if they want anything more, they will be disappointed. Adam RodriguezAndie McDowellChanning TatumElizabeth BanksGregory JacobsJada Pinkett-SmithJoe ManganielloKevin NashMagic Mike XXLMatt BomerMovie ReviewsReid CarolinSteven SoderberghWarner Bros. Dark(er) Times Coming For Gotham! Now FOX has released a teaser for the remainder of Gotham’s debut season and, no surprise, things are looking grimmer than ever. Check it out after the jump. Gotham returns on Monday, April 13th. We Have Not Seen The Last of Fish Mooney – Jada Pinkett-Smith on Gotham! Jada Pinkett-Smith is in the enviable/unenviable position of playing the only major character on FOX’s Gotham (Mondays, 8/7C) that is not from the Batverse. That’s unenviable because there’s absolutely reference for her in preparing for the role, but enviable because she has been able to create her own character (with series creator Bruno Heller and his writers room). Recently, Pinkett-Smith took part in a conference call Q&A with a group of bloggers/journalists and, among other things, talked about that very subject. Gotham: Surprise! Murder In Arkham Asylum! The second half of Gotham’s (FOX, Mondays, 8/7C) first season gets underway with Rogues Gallery – the first time we get to see Jim Gordon at work after his demotion. The mid-season premiere opens with Shakespeare and ends with (among other things) a chilling promise. FOX Orders Six More For Gotham! 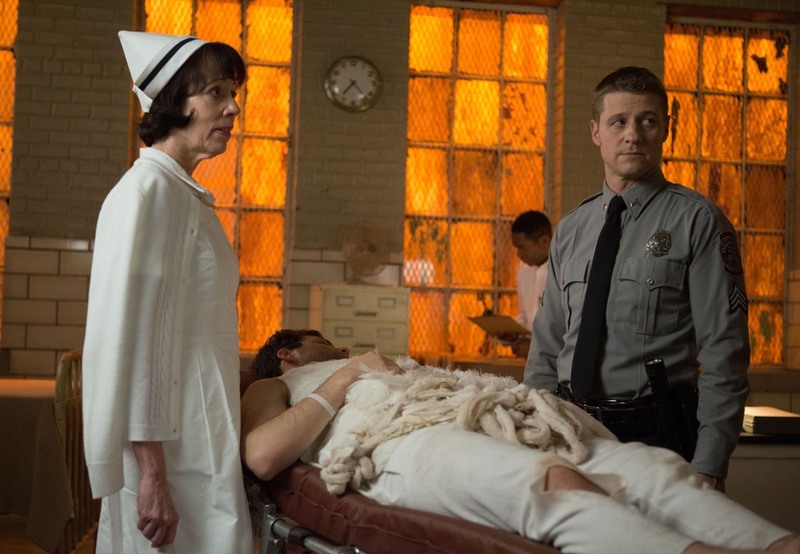 FOX has ordered the final six episodes to give its new hit series Gotham a full season. The story of Gotham between the murders of Thomas and Martha Wayne and the advent of The Batman stars Ben McKenzie as rookie police detective James Gordon – possibly the last good cop in the corrupt Gotham Police Department, David Mazouz as the young Bruce Wayne and Donal Logue as Gordon’s potentially salvageable partner, Harvey Bullock. Gotham was created by Bruno Heller. Follow the jump for more. The next new episode of Gotham airs tonight at 8/7C. 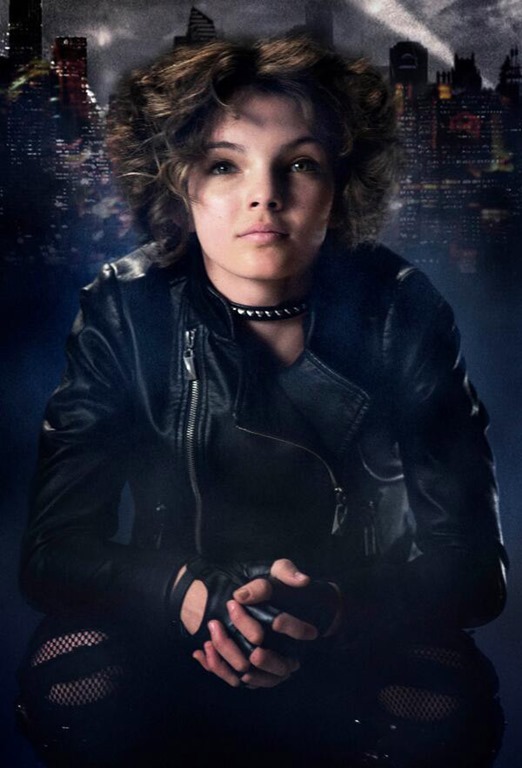 Gotham–A Four-Part Look Behind The Scenes! 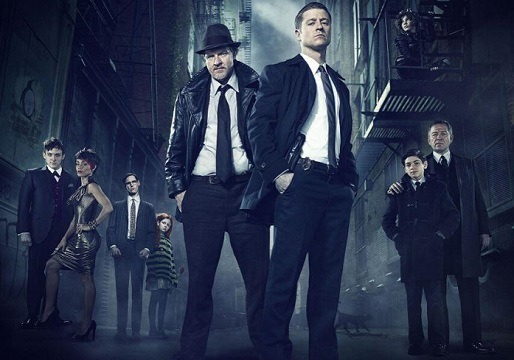 FOX’s Gotham is one of the most anticipated new shows the Fall 2014 season. It’s the story of James Gordon’s rise through the ranks of the Gotham Police Department during the time between the murders of Thomas and Martha Wayne and the appearance of Batman. To get the details right and make this darker, fictional version of New York city believable takes a lot of work, and a four-part online series of behind the scenes videos gives us an idea of how hard everyone involved is working to to it right. Check out the series after the jump. 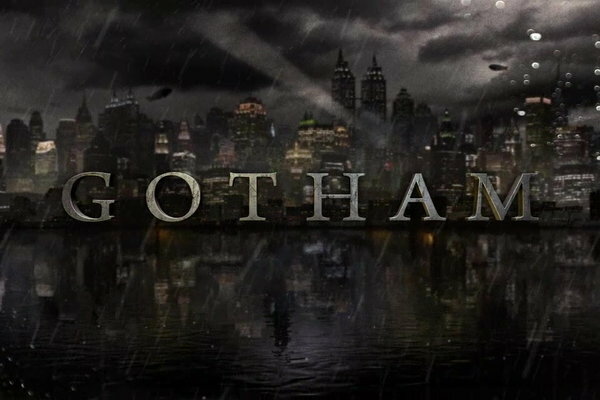 Gotham premieres on FOX on Monday, September 22 (8/7C). 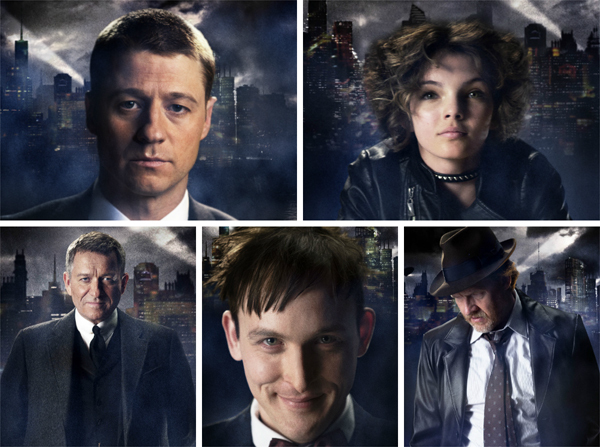 Video: Gotham–What Inspires the Evolution of Villains? One of the more intriguing aspects of Fox’s Gotham will be getting to see the evolution of some of the Caped Crusader’s most famous villains – crime boss Fish Mooney (Jada Pinkett Smith), The Penguin (Robin Lord Taylor) and Selina Kyle/Catwoman (Camren Bicondova). Fox has released a teaser featuring the trio of baddies, narrated by Detective Jim Gordon (Ben McKenzie). Check it out after the jump. Alex, Marty, Gloria and Melman are still trying to get back to their home in the Big Apple. But they must first go to Monte Carlo to track down the pesky penguins. Together with their friends, they navigate Europe as a travelling circus. Starring Ben Stiller, Jada Pinkett Smith and Chris Rock and David Schwimmer. Directed by Eric Darnell, Tom McGrath and Conrad Vernon. Written by Eric Darnell and Noah Baumbach. Produced by Mark Swift and Mireille Soria. HawthoRNe’s Second Season is Moving Onward and Downward! 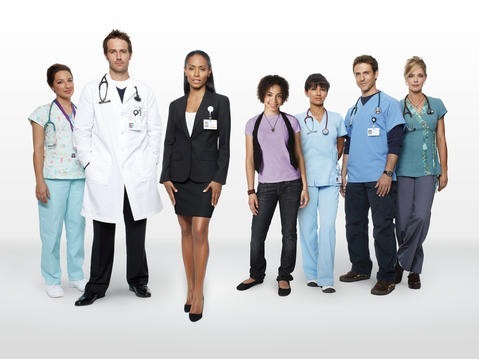 The second season of HawthoRNe [TNT, Tuesdays, 9/8C] opens with Morrisey [James Morrison] informing Chief of Surgery Dr. Tom Wakefield and Director of Nursing Christina Hawthorne [Jada Pinkett Smith] that Richmond Trinity is being shut down, then cuts to three months later with Tom and Christina seeing the hospital’s last patient off and then having to take a gunshot victim to James River, where several of the former Richmond Trinity staff are now working.